Dr Weiss is currently the Executive Director of Ariadne Australia Limited. Dr Weiss is Chairman of Ardent Leisure Group, Ridley Corporation Ltd and Estia Health Ltd, and a Non-Executive Director of Thorney Opportunities Ltd and The Straits Trading Company Limited. 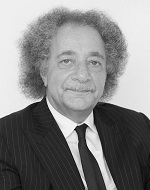 Dr Weiss was formerly Chairman of Clearview Wealth Limited and Coats Plc, is a former Non-Executive Director of Premier Investments Ltd and Pro-Pac Packaging Ltd, a former Executive Director of Whitlam, Turnbull & Co and Guinness Peat Group plc and sat on the board of Westfield Holdings Limited and a number of other public companies. Dr Weiss has also been involved in overseeing large businesses with operations in many regions including Europe, China and India and is familiar with investments across a wide range of industries, corporate finance and private equity type deals. Dr Weiss is a Co-founder of the Sohn Hearts & Minds Investment Leaders Conference. Dr Weiss holds an LLB (Hons) and LLM from Victoria University of Wellington and a Doctor of the Science of Law (JSD) from Cornell University. Dr Weiss was admitted as a Barrister and Solicitor of the Supreme Court of New Zealand, a Barrister and Solicitor of the Supreme Court of Victoria and as a Solicitor of the Supreme Court of New South Wales.